Cut up all the vegetables and chicken into bite size pieces. Spray non-stick cooking spay in your pan and add carrots let cook for 5 minutes. Then add chicken. Cook until theres no more pink or its cooked through and add bell pepper and onion. 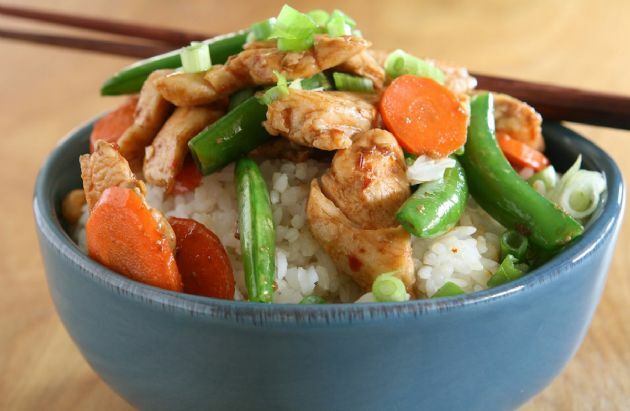 Once the onions and bell pepper are tender add rice and snap green beans stir and serve! Recipe submitted by SparkPeople user BEACHBODYREADY.